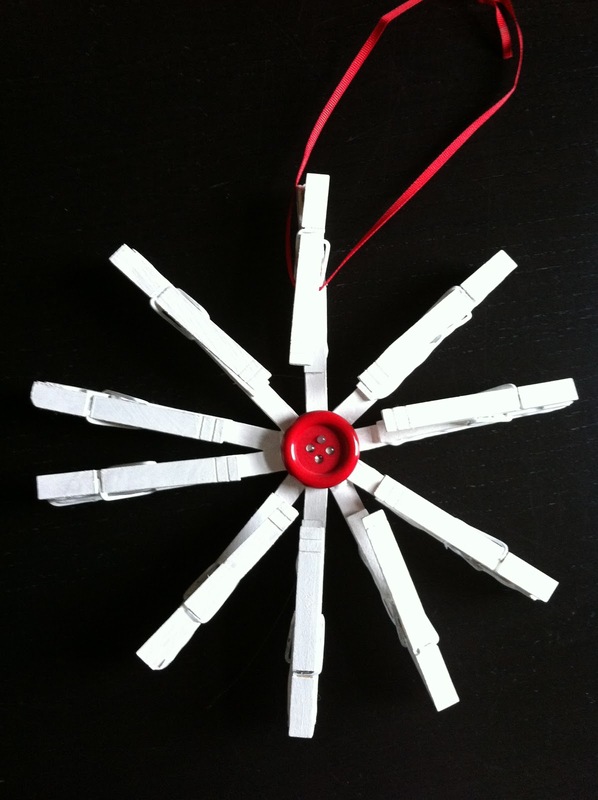 Last year we made these clothespin snowflakes for our friends and family. They were easy to make, look great and can stay up all winter (or maybe even all year, like the one in our kitchen.) To make one snowflake we used 8 popsicle sticks, 8 clothespins, two wooden circles or large buttons, one safety pin and lots of hot glue. 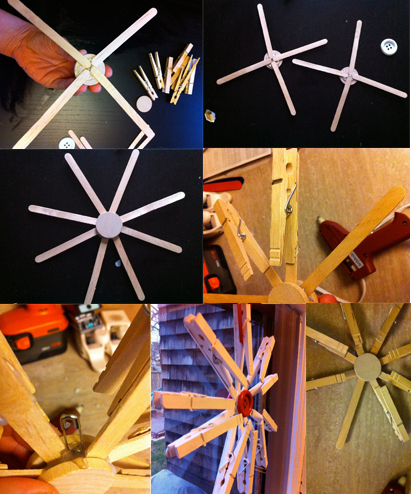 We started by gluing four popsicle sticks to each of the wooden circles. I then glued the two wooden circles together to make the snowflake shape. Next I glued a clothespin on the end of each of the popsicle sticks so the push clip part was towards the center and the open mouth part was towards the end. Once everything was glued together I glued a safety pin into the center to run a ribbon through so the ornament can hang. I painted everything white and added a large button to the center just for decoration. The finished ornament can hold photos, cards or even hang in the kitchen to hold recipes!